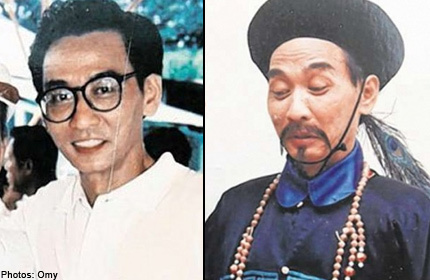 SINGAPORE - Veteran actor Dai Peng, whose real name is Dai Dexin, has passed away at the age of 75 from lymphoma. He died on Sunday afternoon (May 12) at 2.30pm. According to a news report, the actor was diagnosed with lymphoma two weeks ago. Mediacorp veteran Huang Wenyong had passed away earlier of the same cancer. He was 60 years old. Dai Peng's son Dai Li Yao, 36, who is in the advertising industry, said his father started feeling unwell a month ago. His entire body felt weak, so he went to the hospital for a routine check. Two weeks later, while the doctor was extracting bone marrow from Dai Peng, he discovered that the actor was suffering from lymphoma. The doctor said the situation was not optimistic and said chemotherapy had to be done as soon as possible. However, Dai Peng reacted negatively to the chemotherapy drugs, so treatment was stopped after a week. Dai Peng had starred in MediaCorp dramas Kopi-O II and Driven By A Car, amongst others.